Vlog University is a social media marketing agency run by high school students. The shift in modern media has changed the way we consume information and are influenced. This change has also altered how businesses & nonprofits market. VlogU embraces this shift to empower youth from under-resourced communities to obtain careers by working with these businesses & nonprofits. The students also become more digital literate while learning how to build their own online movements. Shouldn't we tell kids to stay off social media? There's a new way of doing things. There has been a shift in modern media. Entertainment has become more accessible than ever and 80% of the United States uses at least one social media platform and that number is only going to continue to grow. This is where people communicate and consume their information. Now, 44% of the US relies on Facebook as their main source of news. This is how we are influenced now. However, in the age of misinformation and clickbait, some are struggling to find the positives. It’s a common thought that the platforms are filled with noise and polluting the minds of young people. But, social media isn’t going anywhere. So why not learn how to embrace it and use it for good. Those that have been hurt the most are the ones that advertise. They are now competing with sources of entertainment. Businesses who haven’t learned to adapt are unable to bring in sales. From an impact standpoint, Schools and organizations are unable to have their messages be heard. This could hurt funding, event attendees, or general awareness. Also, some schools and organizations don’t have the budget to hire marketing agencies. On top of that, agencies have also had issues adapting because a marketing degree doesn’t prepare you to be successful on social media. It’s more about relatability and personality than tactics and theories. So who has the skills to help amplify the messages of schools and organizations through digital platforms? What about digital natives, the ones who grew up with a phone in their hands? Jordon Rooney believes that high school students can be better social media marketers than a digital marketing agency. Last summer he started VlogU, which is a social media marketing agency run by high school students. The results were incredible with the students improving over 40-60% in their ability to be able to explain fake news, modern propaganda techniques, and how social media algorithms work. The students also learned how to create solution-based content and how to build their own online movements. 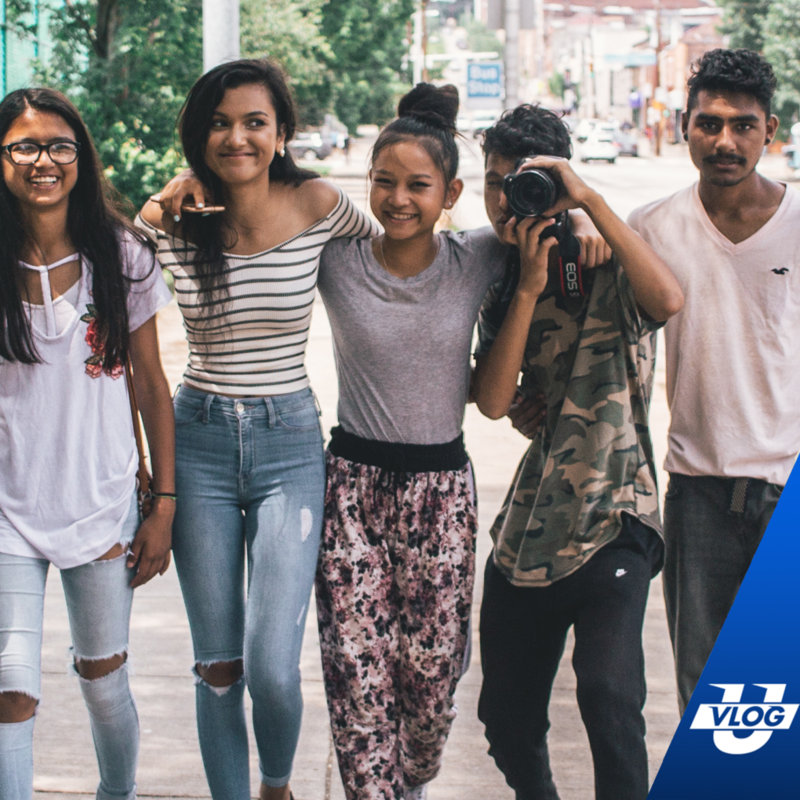 VlogU partnered with nonprofits and took on social media marketing campaigns for them. The students improved their confidence level in being able to obtain a career in social media by 250%. VlogU’s curriculum can be implemented in schools or organizations anywhere. Do you have students available to you? If yes, then you have the resources to create an internal social media marketing agency. This provides a unique solution for schools and organizations while giving students real world career experience. This is preparing students for the new economy. Remote work has grown by 140% since 2005. That's nearly 10x faster than the rest of the workforce. These skills do not require a degree, resources, or connections. Students can showcase their personalities and creativity to thousands or even millions. All that you need is access to internet and the nudge to get started. The Results from VlogU were remarkable! Can high schoolers on social media market better than an agency? Jordon Rooney thinks so. 80% of the United States uses at least one social media platform and that number is going to continue to grow. Who would excel in social media marketing? The students will need some guidance on certain aspects. Who would be a good fit for what? Promote conversation and collaboration. Build off of each others ideas. Remember, it's about amplifying impact and the message you want to be heard.